Bitcoin rose around 30 percent in one month following Jamie Dimon's speech, where he also compared the currency to tulips bulbs in a reference to the famous market bubble from the 1600s. JPMorgan chief executive Jamie Dimon regrets having called bitcoin a "fraud" but would still not be interested in the cryptocurrency, he said in an interview on Fox Business on Tuesday. Dimon, known for his candid comments, slammed the viability of bitcoin in September. "The currency isn't going to work. You can't have a business where people can invent a currency out of thin air and think that people who are buying it are really smart," he had said at a conference. The buzz generated by Dimon's comments spurred more interest in the alt-currency. Bitcoin rose around 30 percent in one month following Dimon's speech, where he also compared the currency to tulips bulbs in a reference to the famous market bubble from the 1600s. Dimon's comments were followed by a more tempered view from chief financial officer Marianne Lake, who said the bank was "very open minded to the potential use cases in future for digital currencies that are properly controlled and regulated." Despite Dimon's criticism, several banks, exchange operators and companies eagerly embraced bitcoin, sparking a spectacular rise in the cryptocurrency. On Tuesday, bitcoin was down nearly 5 percent at $14,202 in early trading. It traded at $909 a year ago and breached $19,000 in December. Exchange operators such as CME Group Inc and Cboe Global Markets Inc opened their platforms to allow bitcoin futures trading, while Square Inc rolled out a bitcoin buying/selling feature on its app to a select few. 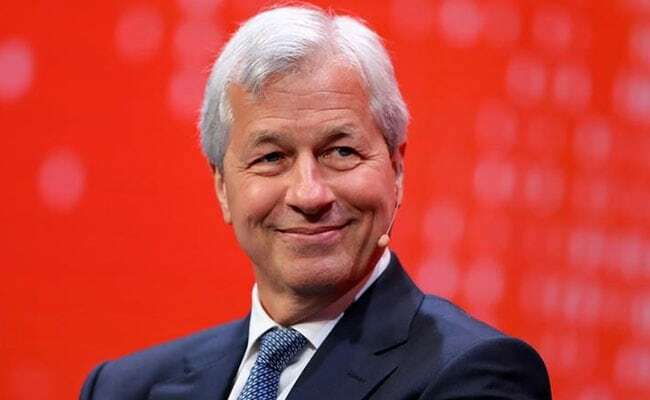 Dimon and Lake, however, have commended blockchain - the technology used by bitcoin and other digital currencies - a view echoed by Citigroup Inc CFO John Gerspach and many others across the industry. "Blockchain is real. You can have crypto yen and dollars and stuff like that," Dimon told Fox.